Yes, I read it, good thought-provoking stuff as usual Tiho. There are examples in history of an asset mature in its bull making a nasty drop just before going on to make its final mania. Something that looks like it the secular bull could be over, only for it to then reverse and go crazy. So I am alert for that, but right now, the extreme readings make a compelling contrarian buy, and by my solar timescale, I think it more likely gold gets into gear from here and delivers its parabolic finale, winding up gradually. Gold seasonals also are favourable from now for the next 2 months. 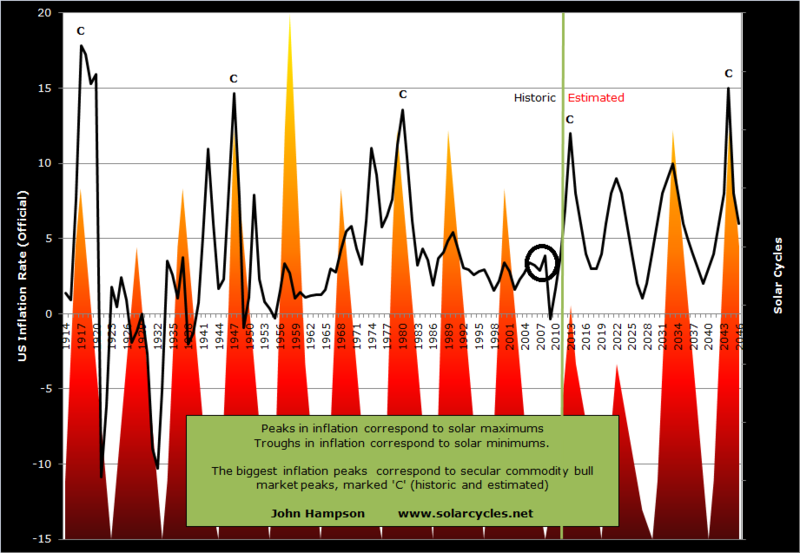 Hi John some people predict that final top in commodities will be about 2020, we are in commodities super cycle,could be possible that it’s going to happen during next solar maximum? despite the fact that we might have a mini top in about 2013 after big slow down in China commodities bust, everyone is going to claim the end of commodities bull market but it’ll be the best time to buy in our lifetimes. It doesn’t fit with my forecasts, but I don’t rule it out, namely because peak oil is there, natural disasters and unusual weather patterns are still on the up, tech evolution doesn’t yet have solutions etc. All that has to fall into place, to keep commodities down in my sceario, but I expect over the next couple of years that more supply comes to fruition, there is some switch from oil to gas, stocks become extreme cheap value versus commodities so the speculative money switches class etc. I think there will be a true crunch on commodities but I expect it to come further out 2030-2040. There are a growing number of experts suggesting that the sun is heading towards a lengthy quiet period, possibly similar to the Maunder Minimum. Evidence for this, they claim, is the late start of solar cycle 24 (three years late) and its unusual activity so far. 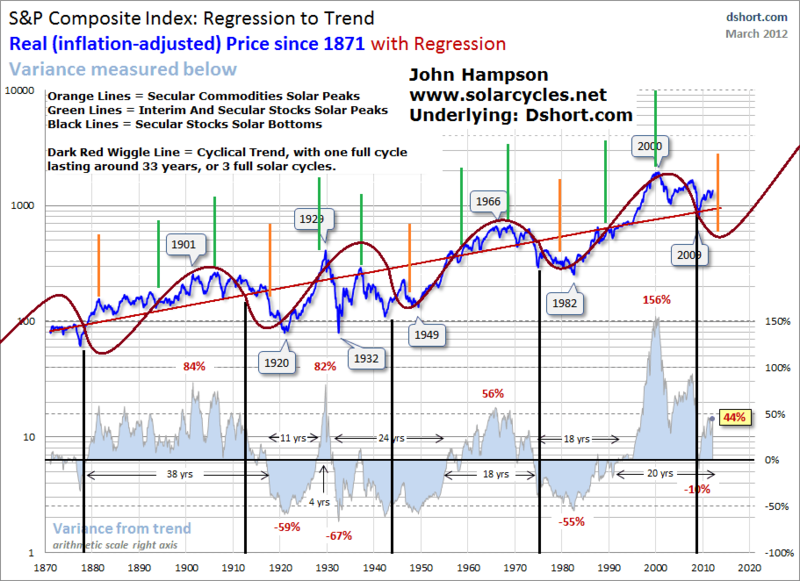 The three solar cycles spanning the Maunder Minimum lasted 18 years, 20 years and 22 years respectively – so it is conceivable that cycle 24 could be drawn out to 2020, as you suggest. thank you for the link I have a look then I get time.The energy should peak soon but agri not just yet, the time wil show 🙂 the golden rule is to make some money even when you are wrong. Boy, the last two articles on this blog have been absolutely great regardless of how one sees thing playing out. So my knowledge and hard work shared by John, so I think everyone should be very grateful for that. I personally want to say – thank you for all the hard work John! So lets talk short to medium term PMs – I think there is a above average chance that Gold and Silver will now rally. Public Opinion on Gold has dropped to the point it usually sets intermediate bottoms dating back to 2003, so we could now see a bottom. Silver has dropped almost 16% from its recent peak at the start of the month, so that is very oversold from short term perspective. 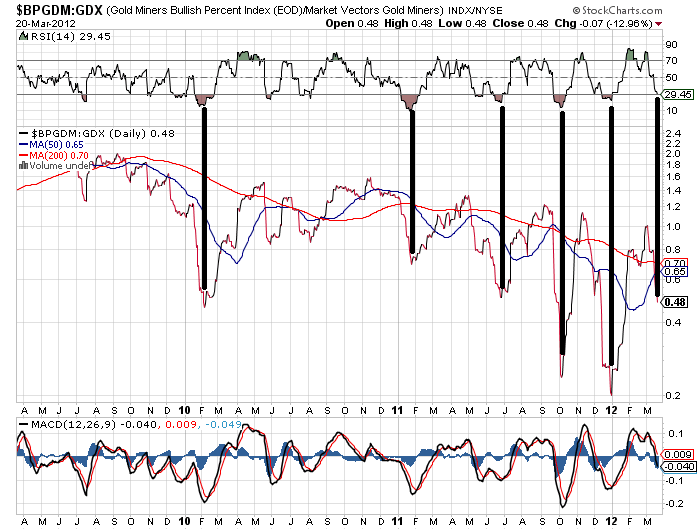 From Gold equity point of view, we have extremely oversold breadth in the Gold Miners with Bullish Percent readings and oversold McClellan Oscillator diverging on the GDX too. We also have 0% of stocks trading above 200 MA for the first time since October 2008 on the Gold Miners.Obviously, RSI just went below 30 as well recently. I agree with John’s bullish stance without a doubt. However, from the longer term perspective, I doubt Gold will have a parabolic move after already moving up so much without a strong correction / re-tracement / cyclical bear market. I remain long PMs and short Dollar, so time will tell all. I feel a separate post is needed to chart gold measured in its many different ways to really weigh how likely it is to be sucked forcibly upwards or something potentially quite opposite. It remains a tough one to call. the last time gold peaked we had interest about 20% so until intrerest won’t move i stick to gold but even if i’m wrong and gold peaked we should still have mania in gold miners at least for 2 years so i started topping up GDX. it’ll make my loss in silver and gold. I see you use the inflation data from shadowstats quite a bit in your arguments. I used to also believe that inflation had to be higher than official stats, and drifted to the shadowstats data. However, it turns out the CPI as calculated is pretty darn accurate. I was surprised to see real-world inflation data tracking the CPI this closely, but it’s all right there. Just throwing it out there…….nice work on the site! I admire your strive for answers and perfection. I tried astro for 7 years in personal relations. if PO is now, do you claim an alternative source is imminently at hand? Hi Marif, could you rephrase your question? I’m not sure what PO stands for. I dont know if it is for sure, but the evidence IMO suggests it. I guess it would change your base scenarios, wouldnt it? 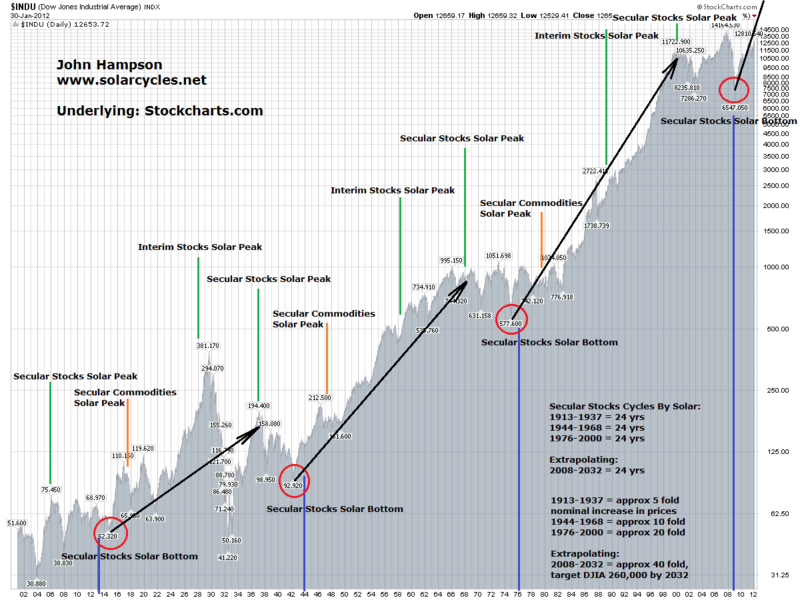 That scenario fits almost exactly with the Gann 60 yr cycle ie a mulit-year bull market in stocks has begun and we are near a top in commodities. I think the top in commodities was last year, others think one more run. As much as I see the bullishness in the stk mkt, my emotions (fundamentals) will not let me become bullish. That augments the bullish case a lot. Gold broke out in 1999 and made a double bottom in 2001 back below it’s 200 day. Since then every trip back to the 200 day was a great buy. It has happened almost 20 times so why would this time be any different. Because that is a way bear markets start. You have a perfect set-up, oversold and sitting on beautiful long term support, so it breaks down. Gold is in the perfect position for that to occur. Corroborating that is the $, it looks very similar to gold back in 2001, at the beginning of a long term bull. Oil looks very toppy. Back in 2008 the producers panicked out of there short hedges sending oil to the moon. It appears that would have to happen again for oil to go up a lot as large speculators appear maxxed out. Producers rarely panic out like that, but speculators get stopped out and margin calls happen. There you have it, bullish on the $ and stk mkt (reluctant) and bearish on gold, oil, and commodities. Believe me, I feel alone on an island. Kent, I find your view plausible and a very useful challenge, so keep sharing. Nothing more important than this issue to get right, as it makes for polar opposite positions if commodities have a parabolic ascent ahead, which would be a major opportunity, or if stocks and the dollar have quietly taken centre stage, and the bottom is about to fall out of commodities and precious metals in particular. So, I’ll address gold tomorrow. How come this time is different, meaning AU/DJ not meeting at 1:1????? You say this time is 5:1 only???? Marif, if peak oil is already here, then going forward I would expect shorter economic and stock cycles as oil repeatedly is bid up to levels that tip the economy over. But gradually I expect gas and renewables to swtich in, and maybe eventually tech evolution can deliver some large scale replacement. 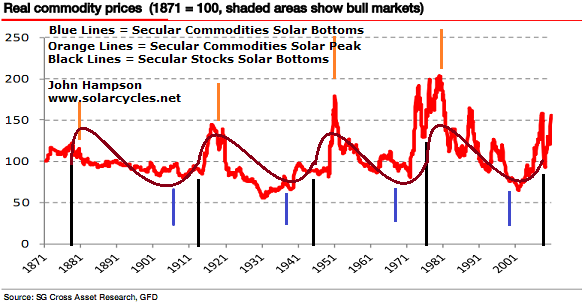 And how come John, you are the only one claiming commodities peak in 2013, when “all other” commodity bulls call for a bull market til 2015-2018???? 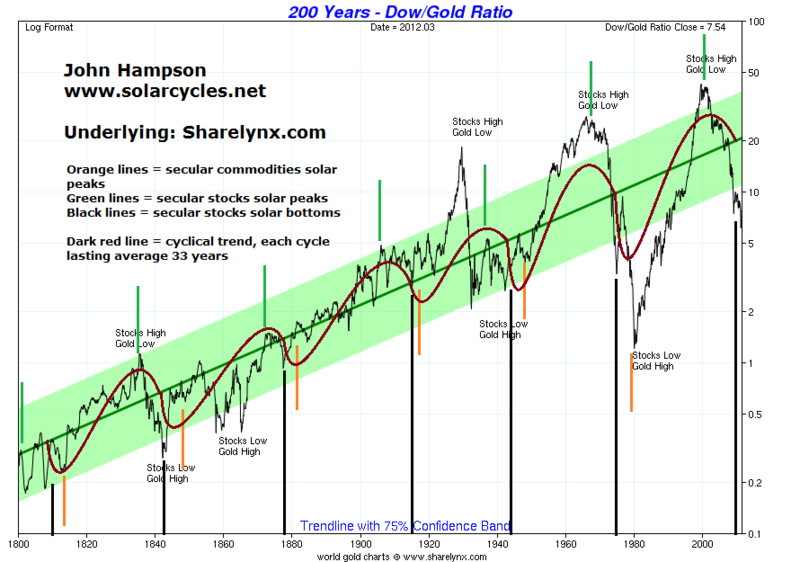 Misperception by many as to historic commodity cycles. Drawing in solar cycles puts it all in a different light. Regarding the Dow-gold ratio, I am open as per my analysis. We can draw in other indicators and measures, which I will do next. Does it change your overall stance? And what is your DJ/AU ratio best estimate? A really good way of seeing what is currently happening is the following chart here. It is between Silver and USD Index. Silver topped almost 12 months ago around $49, while the USD Index bottomed around the same time around 73 points on the index. Since than Silver has fallen dramatically in a bear market which sliced 47% at one point into late December low. After almost 12 months of rising, USD Index has so far failed to take out 81 / 82 points on the index as a main resistance. In the short term PMs sentiment is getting bearish, so when Gold and SIlver sell off a little more, say towards $30 for Silver, we will probably do a first HIGHER LOW and end the downtrend from May 2011. At the same time, USD Index will fail to make a new high above middle of January peak around 81.50 and will create a firstLOWER HIgh and end an uptrend. I’ve been long Silver since 29th of December at $26 and shorting the Dollar via buying Swiss Francs since 16th of Jan. As the current short term sell off runs its course, I plan to buy more Silver around $30 area (5% drop from here maybe) and add some more shorts to on the US Dollar at the same time via Japanese Yen most likely. Japanese Yen is very much beaten down and everyone is extremely negative on the currency! 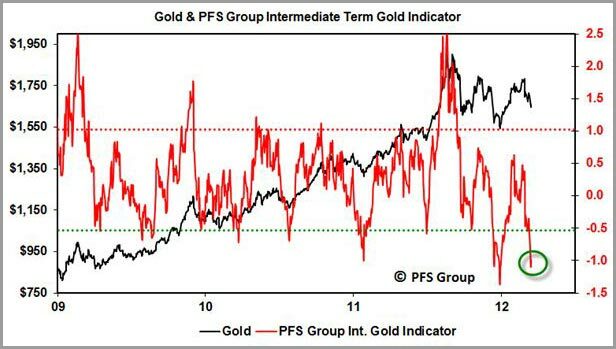 Gold Miners are also extremely oversold. Breadth is beaten down, technicals are beaten down and sentiment is beaten down. For those who do not buy PMs or short USD, the alternative would be to buy Miners as they could finally start to outperform other assets including Gold, S&P 500 and Treasury 30 Yr Long Bond. So to cut the story short, my personal opinion is that we are building a large bottoming base on Silver between $26 and $30; and at the same time a large top on the US Dollar between 80 and 82 on the index.